The owner of an Independence, Missouri, homebrew supply shop has plans to provide inspiration to hobbyist brewers in the Kansas City area. 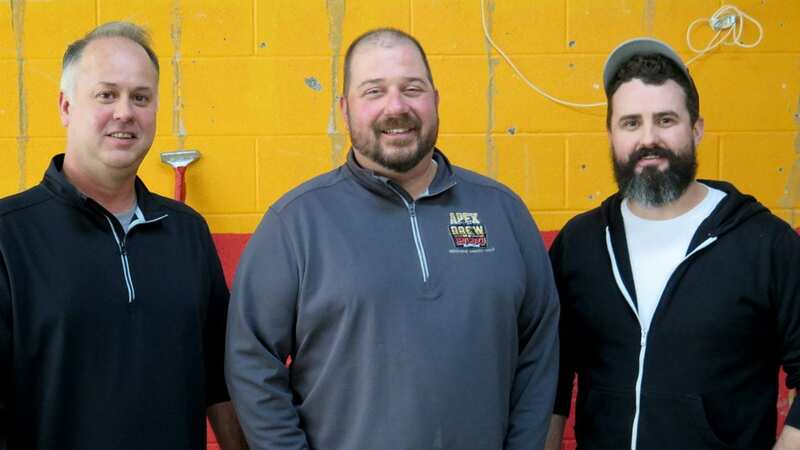 By April, Jeremy Parratt, owner of Apex Brew and BBQ Supplies (4360 Noland Road, Independence, Missouri), plans to open Apex Aleworks, a 1,500-square-foot brewery and 49-seat taproom. The brewery will occupy the former offices of Rickman Chiropractic (4356 Noland Road), located next to the homebrew supply shop. Once construction is complete, the taproom will open first and feature up to 20 guest craft beers on tap. Pratt is looking to get the brewery up and running by early July, and eventually serve up to 10 house-brewed beers on tap. Brewer Tony DiPlacito and taproom manager Josh Sartin will join Parratt in running operations at Apex Aleworks. Parratt recruited DiPlacito in part based on his reputation in local homebrewing circles and the quality of his beers. DiPlacito, a homebrewer for eight years, has 90 recipes in his repertoire. By winning the KC Bier Meisters 2016 homebrewing competition, DiPlacito earned the opportunity for a “scale-up.” He brewed his recipe for Wily Mild, an English dark mild, on Cinder Block Brewery’s brewhouse system. Sartin, taproom manager of The Beer Growler Taproom at bd’s Mongolian Grill (19750 E. Valley View Pkwy., Independence, Missouri), will apply his taproom experience to Apex Aleworks once it opens. The team purposely selected a three-barrel brewhouse system to “be nimble” with its production and to rotate beers on tap often. Possible styles include an American IPA, porter, pale ale, West Coast-style IPA, blonde ale and bitter. In time, the brewery will offer a series of guest beers on tap made by homebrewers. Apex Aleworks will also serve local spirits for cocktails to complement its beer selection. The brewery plans to work with a local malt supplier and Kansas Hop Company. Based in the West Bottoms, Stockyards Brewing Company (1600 Genessee St., #100) begins distribution in Kansas this week. Owner Greg Bland opened Stockyards Brewing in spring 2016 and hired experienced brewer Micah Weichert to lead brewing operations. Initially, Bland decided that the brewery would only distribute in Kansas City, Missouri, during its first year of operation and slowly grow its distribution reach. The brewery only sells kegs for draft sales at bars, taprooms and restaurants. Stockyards has more than a half-dozen styles of beer available on the market. West Bottoms IPA, Brunch Stout, West Hefeweizen, Cerveza Royale, Belgian Rye, Black IPA, and Fox Trotter Scottish Ale will be available on tap at select locations (see the calendar for details). Kansas City Bier Company’s signature annual event, Oktoberfest, will be held at Crown Center October 5 and 6. Kansas City Bier has partnered with Crown Center and O’Neill Event Management to scale up the event – which reached capacity at the Waldo brewery in recent years. The two-day festival will continue to feature authentic Bavarian food, German-style beer, entertainment and family-friendly activities. General admission tickets and packages for KC Oktoberfest go on sale in late spring. City Barrel Brewing Company (1916 Grand Blvd.) made news with the announcement of its existence and future location. With a focus on hoppy, wild, and sour beers, brewery co-founders James Stutsman, Grant Waner and Joe Giammanco plan to open in late 2018. Look for an in-depth story in next week’s Tap List. Casual Animal Brewing (1725 McGee St.) released Chaos Monkey Banana Cream Pie Ale over the weekend. Last weekend, Border Brewing Company (406 E. 18th St.) celebrated its third anniversary with a special release of two beers. Better Late (6.9-percent ABV), Border’s first sour beer, has a mid-level acidity balanced with chocolate, raisin and caramel malt flavors. The dark beer was finished with black currant and dates for extra depth and sweetness. Never Again IPA (4.6-percent ABV), a New England IPA-style, used a whopping eight pounds of hops in two barrels of beer. The recipe uses flaked oats and wheat predominantly to yield a hazy, light and hoppy beer. Miami Creek Brewing Company (14226 NW County Road 14001, Drexel, Missouri) now offers beer flights (four beers, five-ounce samples, $6 flight) at its taproom. The brewery has secured a wholesale license that enables it to sell and distribute directly to retail accounts. Taproom delights include Lavender Saison fermented with farm-grown lavender and Poncho’s Pepper Ale brewed with smoked jalapeño, Anaheim and poblano peppers, and applewood-smoked malt. Rebels & Redcoats, a Double IPA, is dry-hopped with wild hops from Miami Creek’s farm. Next week, Cream Ale with farm-grown coriander and Chocolate Belgian, made with home-roasted cacao, will be on tap. Calibration Brewery (119 Armour Road, North Kansas City, Missouri) has Boom! Like That (8-percent ABV, 58 IBUs), an unfiltered Belgian strong ale, on tap. 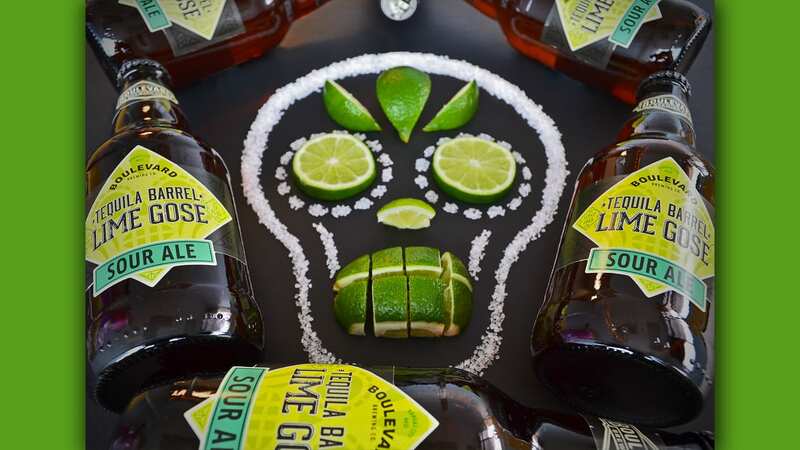 Boulevard Brewing’s Tequila Barrel Lime Gose, a German-style gose infused with lime peel, returns March 5 on draft and March 6 in six-packs of 12-ounce bottles in Greater Kansas City. Rye on Rye on Rye on Rye is yet another variant of its Rye on Rye beer. ¡Vamos!, a Mexican-style lager, deepens the partnership between Boulevard and the Kansas City Royals on and off the field. ¡Vamos! hits March 5 on draft and March 6 in six-packs of 12-ounce bottles in Greater Kansas City. Kansas City Bier Company (310 W. 79th St.) has a limited quantity of Hop Schlagen (11-percent ABV, 24 IBUs), a dry-hopped triple India Pale Lager, on tap. Made for the brewery’s recent four-year anniversary, the high-alcohol amber beer was brewed with low hop bitterness. The brewery has also begun bottling Pils, its pilsner-style lager, for distribution. Colony KC (312 Armour Road, North Kansas City, Missouri) released an Espresso Porter, Volume II of its coffee-based Pole-to-Pole Series of beers. This beer features espresso from Blip Roasters. Another coffee beer, Kansas City Coffee Kolsch, will be released this week. 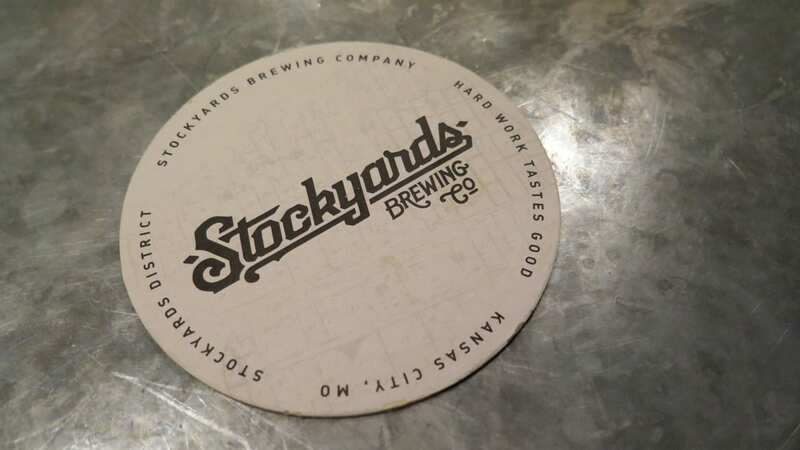 Stockyard Brewing hosts a release party at Barley’s Kitchen + Tap (16649 Midland Drive, Shawnee, Kansas) from 5 to 7 p.m. Cerveza Royale, West Hefeweizen, West Bottoms IPA and other beers on tap are the featured attraction. Bier Station (120 E. Gregory Blvd.) hosts a Science on Tap, where this event’s discussion explores 400 Million Years on Six Legs: Evolution of the Insects. Gather in the biergarten as KU Natural History Museum professor Michael Engel leads a wide-ranging discussion about everything from the Jurassic love songs of katydids to giant fleas. Starting at 6 p.m., play bike trivia, enter a raffle drawing, win swag, and drink BikeWalkKC Local Motive Pale Ale at Casual Animal Brewing Co. (1725 McGee St.). Two dollars of every pint sold from the Local Motive tap of pale ale benefits BikeWalkKC this quarter. Ruins Pub (1715 Main St.) taps a special release of Firestone Walker Anniversary Ale and Bretta Weiss at 6 p.m.
Stockyard Brewing hosts a release party at The Bar (6101 Johnson Drive, Mission, Kansas) from 5 to 7 p.m. with its Cerveza Royale, West Hefeweizen and West Bottoms IPA on tap. HopCat (401 Westport Road) welcomes a rare Kansas City area appearance by Public House Brewing Company, based in Rolla, Missouri. Public House’s tap takeover includes Anthony’s Pacification Imperial Stout, Soest Road Belgian-Style Dubbel, Flynn’s Irish Red Ale, Sticke It Up Your Alt and Frisco 1501 Historic Lager, a California Common. The Big Rip Brewing Company (216 E. Ninth Ave., North Kansas City, Missouri) cordially greets March with the release of Doorkeeper Cinnamon Roll Porter (8.5-percent ABV). This imperial porter made with ample cinnamon, brown sugar, and vanilla to yield a rich, dark and sweet dessert beer. Available on tap and in growlers. Jax Fish House & Oyster Bar (4814 Roanoke Parkway) releases a collaboration Oyster Stout made with Cinder Block Brewery. A Cinder Block representative will be at Jax to talk about the beer and pour samples of this uncommon, yet traditional, stout beer. Martin City Brewing Company hosts a happy hour at Bier Station from 4 to 7 p.m. Kick off the first weekend of March with Shunned House Brett IPA, Imperial Alchemy Coffee Stout with Vanilla Beans, Banging the Enemy Red IPA, Hard Way IPA, and Belgian Blond. Miami Creek Brewing Company (14226 NW County Road 14001, Drexel, Missouri) conducts its first-ever tap takeover at Union Restaurant and Public House (27 W. Dakota St., Butler, Missouri). Chrissy’s Cream Ale, The Chocolate Belgian, Farmhouse Wheat Ale, Rebels & Redcoats, and Lavender Saison will be on tap. Play free bingo at BLVD Tours & Rec Center (2534 Madison Ave.) from 11 a.m. to 1 p.m. The availability of $5 Tank 7 beermosas & KC Pils micheladas have no bearing on your chances of winning. Distribution begins today of Martin City Brewing Company’s Hard Way IPA in 12-pack cans throughout Greater Kansas City. — Pete Dulin writes about food trends for Flatland and is the author of The KC Ale Trail. Follow @FlatlandKC and #TapList on Twitter for more food news and trends.